Yesterday, I stumbled upon a Twitter conversation about Elder Scrolls Online. After reading a bit, I just had to log in. That’s not the entirety of the conversation you see when following that tweet. Dig a little deeper and you’ll see that this thread also covers topics like playing MMORPGs solo, guilds, guild leadership and so on. Quite a few people chimed in. It’s a really worth your time. So in I went. 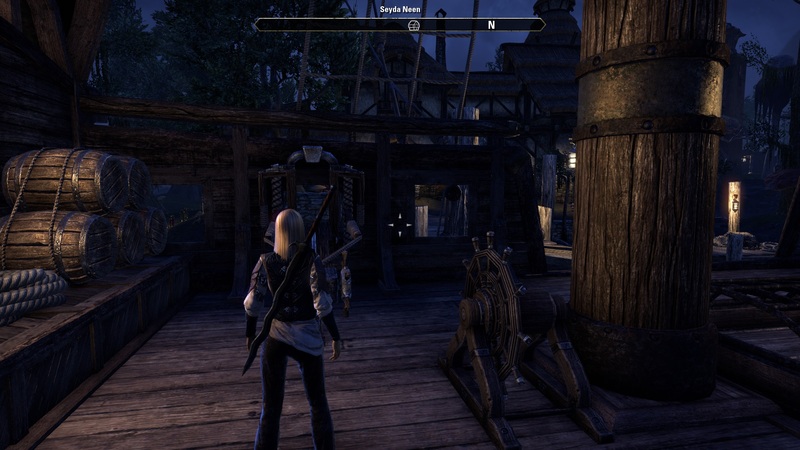 My wanting to play Elder Scrolls Online had three main reasons: one, because of our small guild. Secondly, because of that Twitter thread and third, because I haven’t gotten around to creating and playing a warden which was released with the Morrowind chapter/expansion- to give an idea of just how long I didn’t show up. Of course, we had our second child in the meantime and our daughter is healthy, in a good mood and…a baby. But that’s not the whole story behind my prolonged absence from this blog and Elder Scrolls Online- I’ve been looking around, testing other games, different content output channels (looked into Twitch streaming in theory, but haven’t really streamed besides some guest appearances in a friend’s stream). And then, there was that guild I co-founded…almost two years ago, I guess. The longer I was away, the worse my conscience. I readied myself for some kind of “where have you been? Guild leaders can’t leave that long!” discussions in private or guild chat, but I’m pleased to say that selective recruitment, early fostering of community as well as putting a good replacement in charge of things were a very good decision- there were no bad words, just fellow players welcoming me back. So that went well. It was very difficult to find a suitable name for my newly created warden, though. I hit a couple of name generators, but of course all of these names were already taken. I gave it about half-a-dozen tries and settled for a combination of a lore-appropriate name and a family name derived from my online handle (Lorana Feng, iirc). I guess that’s not too bad. With all those obstacles out of the way, I could take a look at the game proper, and found it to be surprisingly fitting to my overall mood right now. I also realized I’ve been demoted to noob again by the changes in game. For one, now you have to discover skill trees. When I went to spend skillpoints on skills for the first time, I found that I was only able to spend them into class skill trees, one world skill tree and one crafting skill tree. No weapon or armor skills to be seen. Come to think of it, I think even racial skills were missing. Lately, I’ve been playing games more deliberately. If I choose to play a game, I play it without distractions- no Podcast listening, no stream by the side and so on. I play for one or two hours, then exit the game and do something else. I don’t sit in front of my PC pondering about which game to launch- if I don’t know what game to launch, I do something else. This leads to two outcomes. First, I don’t dabble in front of the pc until I make a choice and watch crappy Youtube videos instead. On the other hand, when I launch a game, I want to experience it- you know, including quest- and flavour text, atmosphere and things like that. There are no goals involved other than having a good time. Elder Scrolls Online fits nicely into this mindset, and that is also why I loved that “discovery of skill lines” thing. Quests are presented via dialogues, optional conversation choices and they usually take longer than your average “kill ten rats” MMO quest. Exploration is encouraged as there are no quest hubs, per se. All in all, I had tons of fun, even while not getting much done. Between chatting with guildmates, my noobiness and taking it slowly, I finished one quest in two hours of playing. Fun times!